Netscape should now display the "Account Settings" dialogue box. 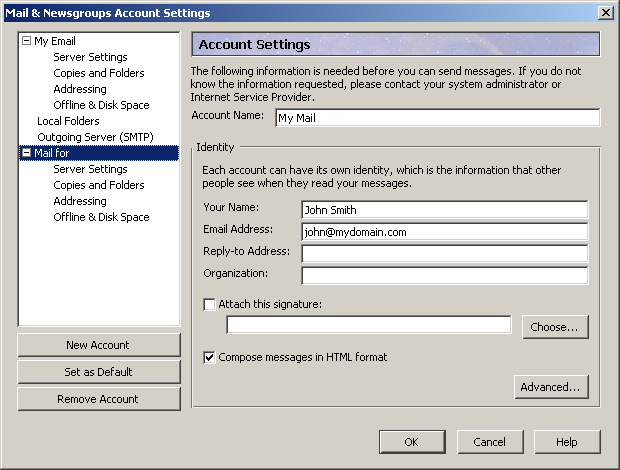 If you have not already done so, enter the Outgoing Mail Server for your ISP. Netscape will use this server for all of the accounts it is configured to check. If you do not know the name of this server please contact your Internet Service Provider. Click the "OK" button to continue.